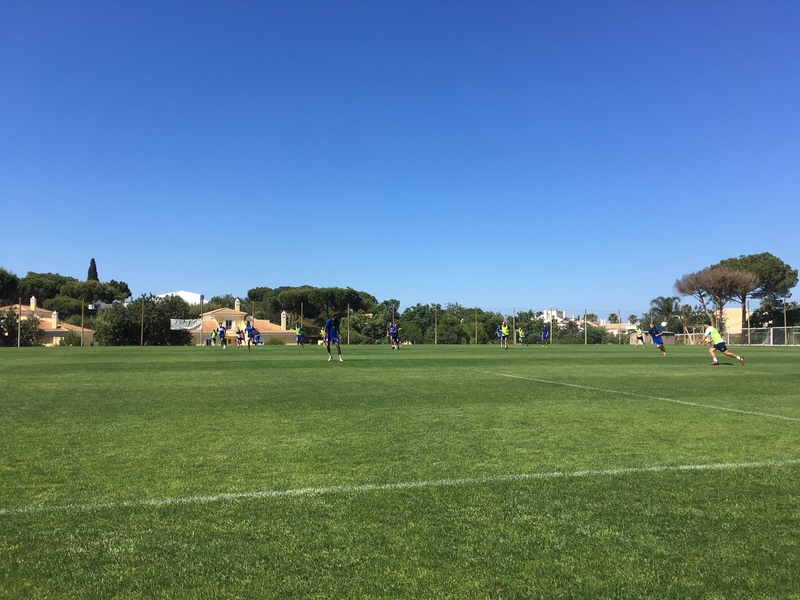 It’s day three of our Champions League camp in Portugal and with the players involved in an in-house friendly, I added a new ground to my list. Not a new country though as we played here last season in the aforementioned competition. We are staying at Browns in Vilamoura, where many top sides before us have done the same as part of their pre-season preparations. There are shirts on the wall from the likes of the Italian and Netherlands national sides as well as Fulham, Linfield and Middlesbrough, to name just three. The TNS game was very good to watch, with the new signings fitting in really well. There is going to be real competition for places this season; I would say in my time at the club that this is the strongest squad that we’ve had in terms of depth. It’s been good to cover the team again, posting updates on the club social media sites. Everything from photographs at the breakfast table to an interview with Adrian Cieslewicz that was posted on TNS TV. I also had a very pleasant surprise watching the game as a hoopoe landed a few yards away. More of that though at the end of the week as I want to do a blog entry specifically on the trip from a nature point of view. 2018/2019: 5 games. 3 new grounds.